Lip surgery refers to procedures designed to sculpt or shape your lip with minimal incisions. The lip may be augmented to look fuller and more sensual. Sometimes, procedures can be done to lift the lip and increase the show of the vermillion (red part of the lip). At other times, procedures are performed to reduce the thickness of the lip. Techniques of lip reconstruction have been modified and applied to cosmetic surgery for permanently sculpting the shape of the lip. Most doctors have not favored the use of these procedures in a cosmetic patient. There have been a number of cosmetic injectables that have been used with greater or lesser success. Depending on the problem that needs to be corrected or improved, these products (e.g., Juvéderm® or Restylane®) can be very beneficial. There are also choices of autologous tissue (tissue from your own body) that can be used to serve this purpose. Fat has been used for lip augmentation for many years and has recently gained more popularity as the techniques of grafting have improved. The advantage of fat grafting over other cosmetic injectables is that the fat belongs to your own body. The advantage of tissue filler injections is the relative ease of the procedure. You have virtually no down time with these injections. Surgical procedures for lip augmentation or elevation are usually done through small incisions either in the oral cavity or along the vermillion border. Cosmetic injectables are given as injections into the lip. Fat grafting is done by first removing an appropriate amount of fat from your own body. The fat is usually taken from the abdomen or thighs. The liposuction is done through a small puncture hole that is hidden in a natural fold of the body. The fat is then processed for injection. With minute incisions, the fat is placed in the desired area. 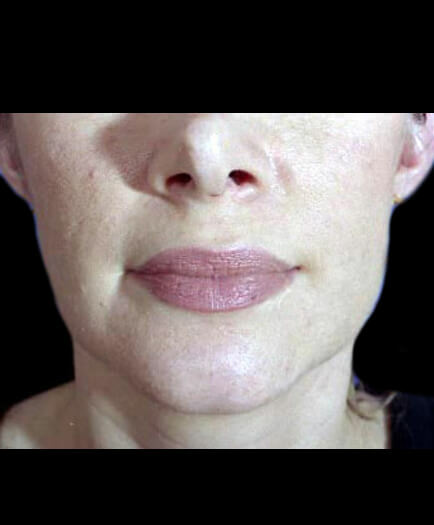 Amounts of injection vary according to area and the extent of lip augmentation needed. With the new techniques of fat grafting, most of the fat survives and gives long-lasting results. Sometimes, however, it may be necessary to reinject an area with more fat. If this is necessary, it can be done 2-3 months after the first procedure. What is cheiloplasty (lip augmentation surgery)? Virginia lip augmentation surgery refers to a set of procedures designed to shape and sculpt the lip. This could be done a number of ways, including surgical procedures and the injection of cosmetic fillers. Fillers have been of two types, including those that are from your own body (natural fat) and those that are not from your own body (fillers like Juvéderm® or Restylane®). Fat injections have been used for many years and have recently gained popularity in Virginia. With this procedure, you can sculpt or shape an area using the fat from your body with minimal incisions. The advantage of fat grafting over other cosmetic injectables is that the fat is your own, so it is less likely to be rejected by your body. The advantage of other cosmetic injectables, such as Juvéderm® or Restylane®, is that the procedures are easy to perform and need minimal recovery time. What does cheiloplasty (lip augmentation surgery) accomplish? Fat injection is a method used for shaping the body. Virtually any area of the body can be sculpted into the desired shape with the use of fat grafting. For example, if you want fuller lips, fat can be placed in the lip to achieve that shape. Cosmetic injectables can be used to shape the lip in a very precise manner. Vertical lines crossing the vermillion of the lip can be reduced. The lip can become more plump and sensual. Surgical procedures, such as lip advancement and mucosal flaps, take advantage of the knowledge gained from reconstructive surgery. These procedures are, of course, more invasive, and most physicians do not use such procedures unless it is absolutely required. What happens during the first consultation for lip augmentation surgery in Virginia? In the first consultation, you will have a chance to discuss your concerns with our patient care coordinators and Dr. Marefat. We will explain what you need to know about your Virginia lip augmentation procedure and help to determine what is best for you. You will receive information booklets and pricing on the procedure. How is cheiloplasty (lip augmentation surgery) done? Fat grafting is done by first removing an appropriate amount of fat from your own body. The liposuction is done through a small puncture hole that is hidden in a natural fold of the body. The incision itself can be as small as 1/8th of an inch. The area to be suctioned is then injected with a solution containing medications that cut back on bleeding and postoperative pain. This fat is then processed for injection. With minute incisions, the fat is placed in the desired area. 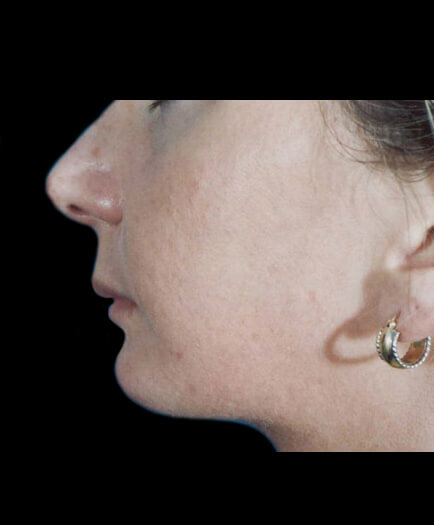 The amount of injections vary according to area and the amount of augmentation needed. With the new techniques of fat grafting, most of the fat survives and gives long-lasting results. Sometimes, however, it may be necessary to reinject an area with more fat. If this is necessary, it can be done 2-3 months after the first procedure. Cosmetic injectables are easily injected into the lip with a syringe. It is as simple as getting a shot. The lip is numbed, and the filler is then injected in the lip to get the desired shape. Today, we have many choices for fillers with some lasting for quite a long time. Surgical procedures on the lip utilize the methods of reconstructive surgery to enhance the shape or volume. The location of incisions may vary with some hidden in the mouth and others on the outside of the lip. Generally, the surgeon tries to avoid visible incisions. What can I expect after cheiloplasty (lip augmentation surgery) in Virginia? There will be a moderate amount of swelling in the lip after your Virginia lip augmentation procedure. If you have had a surgical procedure, you may not be able to eat solid food for a few days. If you have had injections of cosmetic injectables or fat, the swelling is less substantial. The recovery time is generally less than a week. If you have had fat grafting, you will have a moderate amount of drainage from the liposuction incisions. You will need to rest for the first 2 or 3 days, but most people are up and about shortly after surgery. The area of fat injection may swell for 1-2 weeks after surgery. We generally recommend that our patients take off 7 days from work. If you have had filler injections, the swelling and bruising is less, and only 3-4 days may be sufficient for recovery. Heavy lifting and exercising should be avoided in the first two weeks. Your body will tell you when you are ready to get back into your regular exercise routine. Your recovery will depend on the type of procedure you have. With fat injection, you will need to rest for the first 2 or 3 days, but most people are up and about shortly after surgery. The area of fat injection may swell for 1-2 weeks after surgery. We generally recommend patients take off up to 10-14 days from work. With cosmetic injectables, the recovery time is negligible. Within 1 or 2 days, most of the swelling resolves, and you can cover any minor bruising with makeup. Surgical procedures on the lip will have more swelling and bruising. These procedures require 7-10 days for recovery. You will be on a soft diet for this period of time. Heavy lifting and exercising should be avoided for the first 2 weeks. Your body will tell you when you are ready to get back into your regular exercise routine. When are the cheiloplasty (lip augmentation surgery) sutures removed? There are very few sutures in fat injection procedures in general. These usually come out in the first week. There are no sutures with cosmetic injectables. If you have incisions from your Virginia lip augmentation procedure, they will come out in 1 week. You may have absorbable sutures that do not need to come out. How many visits do I have after cheiloplasty (lip augmentation surgery)? We like to see our patients frequently after surgery. You are seen by the doctor or nurse within 2-3 days of surgery. Then the normal routine is 1 week, 1 month, 3 months, 6 months, and 12 months. Of course, if there is a need, you may be seen more often. We encourage our patients to come in for routine follow-up visits every 3-5 years. You should be able to wear makeup if you've had lip surgery. We do not recommend putting makeup on your incisions, however, because this may result in tattooing of the skin by the pigments of the makeup. Am I a good candidate for cheiloplasty (lip augmentation surgery)? You are a good candidate for lip augmentation surgery if you have a moderate amount of wrinkles, loss of volume of the lip, good skin tone, good general health, and realistic expectations. Certain individuals with excessively large lips are candidates for lip reduction. The best way to find out if you are a good candidate for surgery is to see a qualified plastic surgeon. How do I pay for cheiloplasty (lip augmentation surgery) in Virginia? You can pay for surgery by certified check, credit card, or cash. Payment for cosmetic surgery is expected prior to any procedure. If you are scheduled for surgery several weeks in advance, you may pay by personal check. Are there cheiloplasty (lip augmentation surgery) scars? If you receive injections of fat or cosmetic injectables, you will not have a scar. With Virginia lip augmentation surgery, the visibility of the scar will depend on what is being done. Some scars may be visible on close inspection. These scars usually heal very well. After several months, these scars fade and are difficult to see when covered with makeup. Does cheiloplasty (lip augmentation surgery) hurt? The pain involved with injection of fat or cosmetic injectables is very tolerable. We have heard our patients describe it as minor soreness. Surgical procedures on the lip may have more discomfort but are still easily controlled with oral pain medication. Many patients do not finish the pain medications prescribed to them for pain relief. Having said that, remember that pain is very subjective, and it is not easy to predict what degree of pain you will have. Will I be awake during cheiloplasty (lip augmentation surgery)? If you are just having fat injections or cosmetic injectables, you will be awake. If you are having a surgical procedure, it will most likely be done in an outpatient facility under general anesthesia. Where will the cheiloplasty (lip augmentation surgery) be performed? The lip augmentation surgery can either be performed in the office or outpatient facility, depending on what is being done. 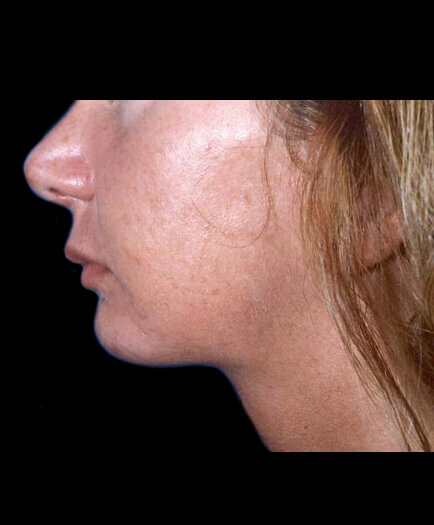 For example, if you are having a fat or tissue filler injection, it is quite feasible to have this done in our Virginia office under local anesthesia. On the other hand, if you wish to have a surgical procedure, you are much more likely to have this done in the outpatient facility. We rarely see the need to perform lip augmentation surgery in a hospital setting. Only in rare situations when the patient may have risk factors does Dr. Marefat suggest surgery in a hospital environment. 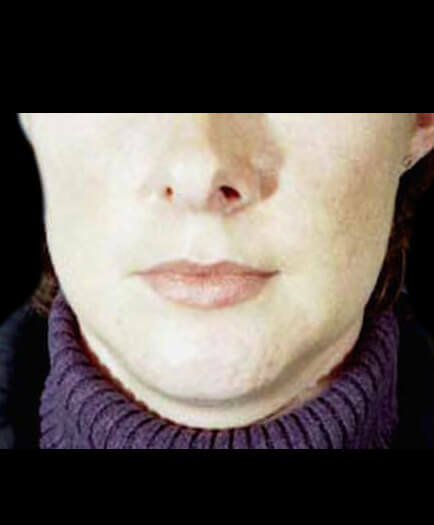 Are medical photographs taken of the cheiloplasty (lip augmentation surgery)? Yes. In all cosmetic and reconstructive cases, medical photos are taken. Photographs are mandatory. This is the only way for us to compare before and after results. Photographs in plastic surgery serve much the same role that x-rays serve for orthopedic surgery. How do I get started with cheiloplasty (lip augmentation surgery) in Virginia? Dr. Marefat and the staff at Metropolitan Plastic Surgery would be happy to help you set up a private consultation to discuss cheiloplasty (lip augmentation surgery) in Virginia. Schedule an appointment online or call one of our locations at 703-516-7600 (Arlington area) or at 703-560-9583 (Woodbridge). Are there financing options for cheiloplasty (lip augmentation surgery) in Virginia? Dr. Marefat offers a number of financial assistance programs and payment programs to cover the cost of Virginia cheiloplasty (lip augmentation surgery). Please visit the patient financing section of our website for more details or ask the staff at Metropolitan Plastic Surgery about these options so that you can get started with rhinoplasty (nasal surgery) in Virginia today.